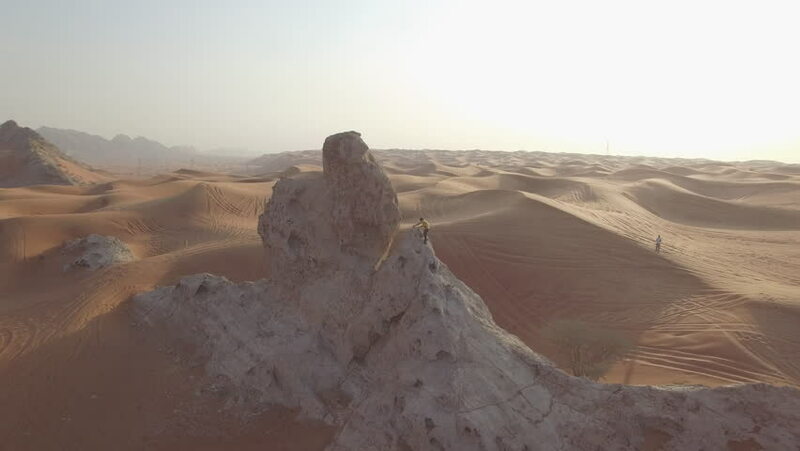 hd00:12Aerial view of mountain in the desert, Dubai, UAE. 4k00:26One of the pieces of Footage shot at a Session in the Bardenas Reales Natural Park (Navarra/Spain) in February 2019. Footage is kept at a RAW format. Color Correct/Grade to your need. hd00:12Long shot of a remarkable rock formation in the desert.